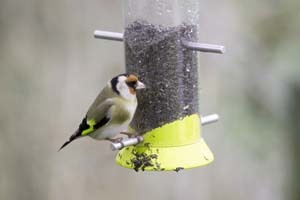 The Goldfinch Feeding Survey is now over - thank you to everyone who took part. to see what we asked people to record. These instructions were designed to answer any questions you might have about the survey, but if you’re still not sure you can visit the Goldfinch Feeding Survey FAQs or email us at gbw [at] bto.org. If you take photos or videos of Goldfinches in your garden, and are happy for us to use them as part of publicity of this survey, please share them with us either by emailing them to gbw [at] bto.org or adding them to our Flickr album.